Published May 25, 2018 at 3:40 p.m. Updated May 25, 2018 at 5:53 p.m.
Photo by Special to The Vindicator | The suspect is described as a white middle-aged man, about 5 feet, 9 inches and weighs about 200 pounds. Police are searching for a suspect in connection with a robbery at Cortland Bank on West Liberty Street, according to a dispatcher. The robbery happened at about 2:45 p.m. today. 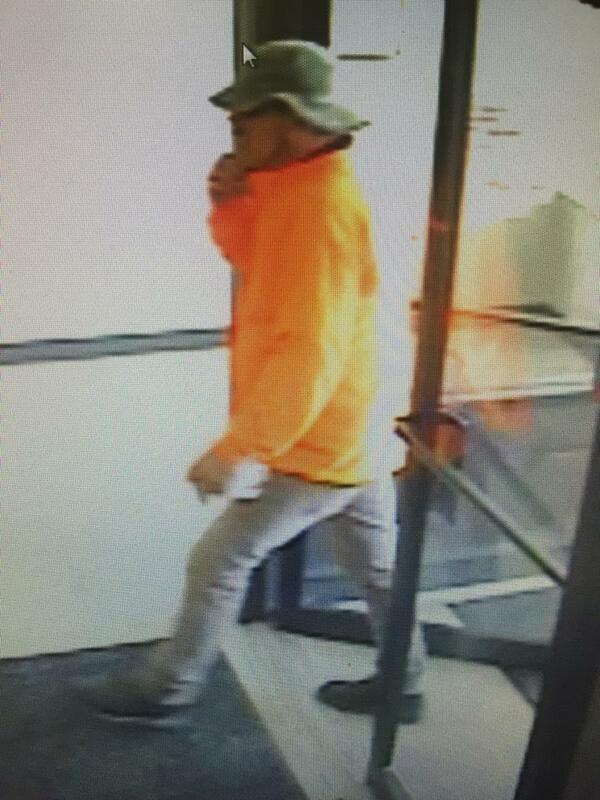 The suspect is described as a white middle-aged man, about 5 feet, 9 inches and weighs about 200 pounds. He was last seen wearing sunglasses, a safari hat and an orange shirt. July 2, 2010 11:04 a.m.
July 23, 2017 12:06 a.m.
October 7, 2016 2:40 p.m.